As people do projects on the laser we accumulate the demonstration parts and abandoned or failed projects in the laser cutter room. They subsequently become showcases of what we can do (or what we can’t do depending on how you look at it) for visitors to the laser room. Below are some photos showing a few of those samples that we keep for people to check out. 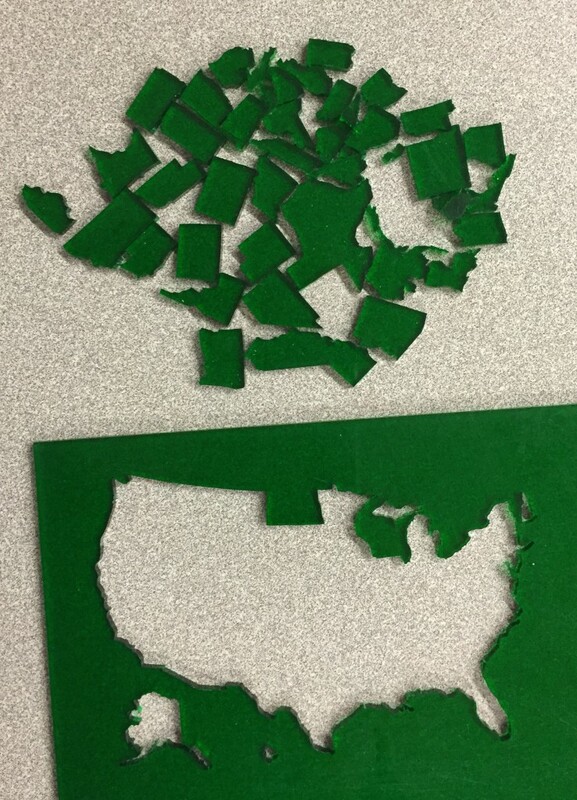 US Map cut out of 1/8″ acrylic. The whole thing is only about 4 inches across so Hawaii was lost before we even got it out of the laser cutter.